The farmhouse Colombaiolo is only 500 metres from the magnificent Renaissance town of Pienza, along the road that from the town of Pope Pius II leads down to the Val d’Orcia (Pienza and Val d'Orcia are both Unesco world heritage sites) and 400 metres from the church Pieve di Corsignano. Immersed in the beauty of the Tuscan countryside. Lucia and Maresco, your hosts, live at Colombaiolo, the family home which is shared with their four-footed friends: cats, rabbits, Ivan the donkey, as well as pigeons, ducks and peacocks, all of which you will meet when you come to visit. They have chosen to live in harmony with nature, safeguarding the environment and animals with the aim of preserving the centuries old history and tradition of this land. Colombaiolo is an ancient farmhouse whose original stone structure dates back to the end of the 15th century. 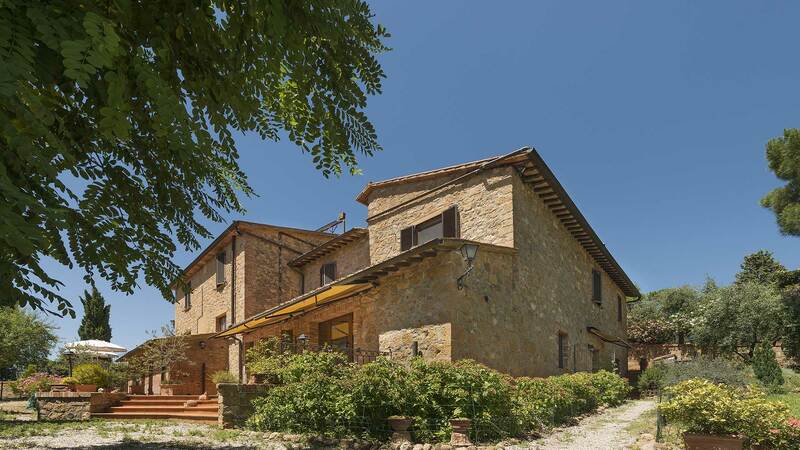 Over the years it has undergone restoration and extension works, always carried out using local material and following the Tuscan architectural tradition, resulting in the current structure. The name Colombaiolo probably originates from when the building was used for breeding doves. The owners discovered evidence of this when, during renovation works on the upper floor of the house, they found a few niches which were probably used to house the doves. The farmhouse is family-run and the owners’ presence ensures that their guests receive the utmost care and attention. At Colombaiolo you will experience the feeling of being in your own home. Colombaiolo is a real farmhouse surrounded by 30 hectares of land with olive trees, vineyards, wheat, grazing and kitchen garden. Staying in a farmhouse can be the best way of experiencing this wonderful land. Guests who are interested can follow in person all the farming processes: ploughing, sowing, the wheat harvest, the grape picking and the olive harvest. A top quality extra virgin olive oil is produced. 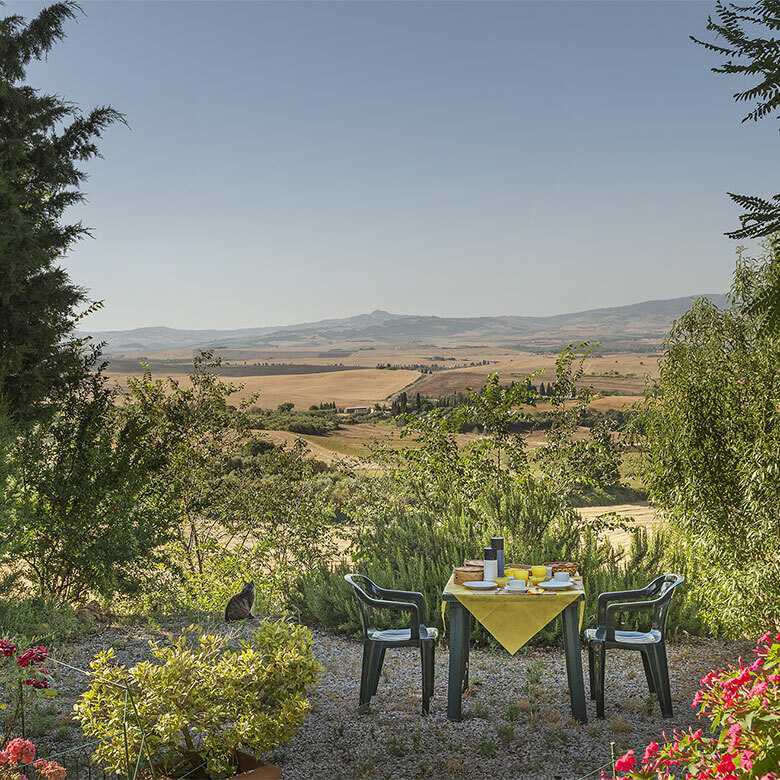 Although conveniently located just a few hundred meters from the old town of Pienza, the farmhouse is immersed in a natural reserve where, alongside the farm animals, it is not uncommon to see wild animals such as hares, pheasants and deer crossing the property. Colombaiolo can be the starting point for walks in the countryside, trips to discover the beauties of the Val d’Orcia or a place in which to spend pleasant relaxing moments by the little lake of the farmhouse and admire the wonderful natural vegetation surrounding it.